James Quinn, the 2011 recipient of the Irish America Spirit of Ireland Award, has been president of Tiffany & Co. since 2003. As president, Jim oversees Tiffany business in over 50 countries and is responsible for its global expansion, including the development of the Tiffany business in key markets in Asia and Europe. He began his career with the internationally renowned jeweler in 1986. Jim serves on the board of Mutual of America Capital Management and is a director of Deckers Outdoor Inc. He is chairman of New York’s 5th Ave. Association, vice chairman and trustee of the Museum of the City of New York, was former chairman and serves on the North American advisory board of the Michael Smurfit Graduate School of Business at University College Dublin and is a member of An Taoiseach’s economic advisory board. 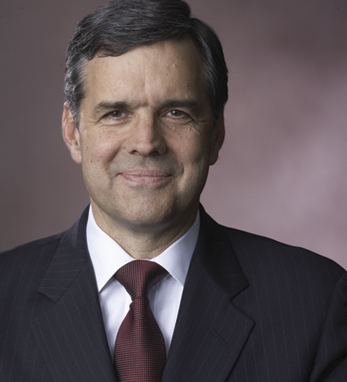 A graduate of Hofstra University, he is vice chairman of the University’s board of trustees. Jim received his MBA from Pace University. He is married to Diane and has two children. Jim traces his Irish roots to Offaly and Westmeath on his father’s side, and Kerry on his mother’s side. All four of his grandparents were from Ireland.